Drain Armor is a locking strainer designed to protect your three-compartment sink! It’s 3 ½” which is the standard size for almost all sinks and is compatible with existing lever drains and twist waste valves, so it’s really a one size fits all product. Drain security: We provide a torx bit for quick and easy installation. Simply pop the Drain Armor in the sink drain, and tighten the security bolt on the top with a ratcheting screwdriver. The unit expands to tighten, and becomes virtually impossible to pop out. To take out simple loosen the bolt on top with the torx bit. Fits all 3.5" sink drains, with or without lever / twist waste valves! Most sinks will have a strainer, but over time these strainers either break or get lost. 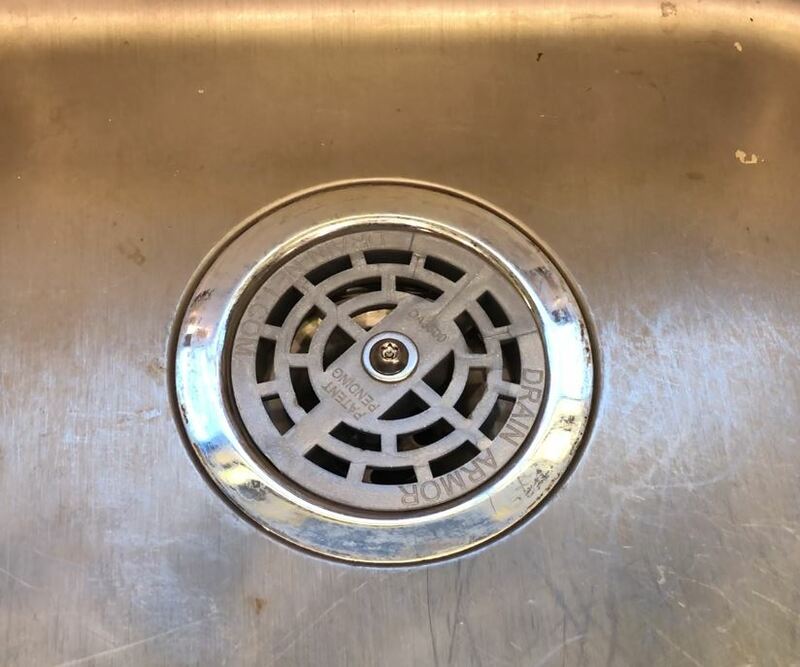 It’s very important to have a sink drain strainer to keep items like forks, knives, bottle caps, and large food scraps from going down the drain and causing damage to your pipes and plumbing system. That's why Drain Armor is the perfect, permanent locking strainer for your commercial sink. Drain Armor Compartment Sink Strainer that locks!